Cornus sericea. A. Mrkvicka.flora.nhm-wein.ac.at (Accessed 6/2016). 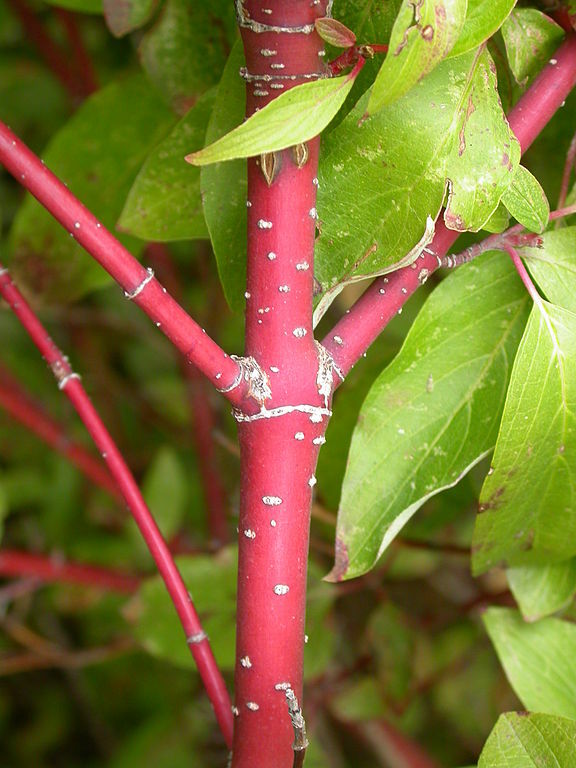 Cornus sericea stem. commons.wikimedia.org (Accessed 12/2014). Cornus sericea is a shrub to 3 m tall, colonial from rhizomes, habit spreading, twigs bright red (green if shaded), smooth; pith, white. Leaves opposite, narrowly elliptic, to 10 cm long, waxy-white below. Flowers white, four-parted, small, in flat-topped clusters; May-July. Fruit fleshy, white, to 0.9 cm, seed dark with yellow stripes. Fruit eaten and seeds dispersed by birds (Martin et al. 1951). Also eaten by raccoons and skunks (Wilson 1993). Habitat: Moist soil. Open sites. Notes: Not seen except where planted. 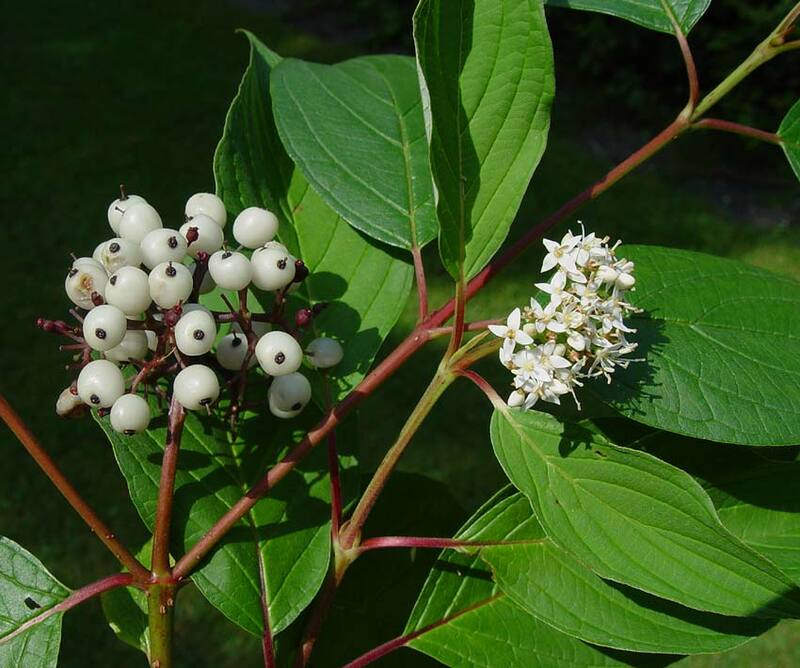 Herbarium specimens originally identified as C. sericea from NYC in the collection at the Staten Island Institute of Arts & Sciences have recently have been correctly relabeled as Cornus amomum. Wild plants found north and west of NYC. Leaves and twigs eaten by deer and rabbits (Martin et al. 1951).